VR Taneja. Dissatisfaction with the coping power, content and methods of current formal education, the persistent call for 'deschooling' the elamour for radical reform in teaching-learning styles, the recent explosions of knowledge, population and aspiration, the 'will' to redeem the pledge of providing equality of educational opportunity and creating a learning society, the nations have committed to broaden the paths of learning . Bonanza for this has been found in OPEN-LEARNING (Non-formal/Informal education) not as a rival alternative to the formal education, but as its parallel and complementary system, less costly and more effective and efficacious to educate the wider constituency of learners. 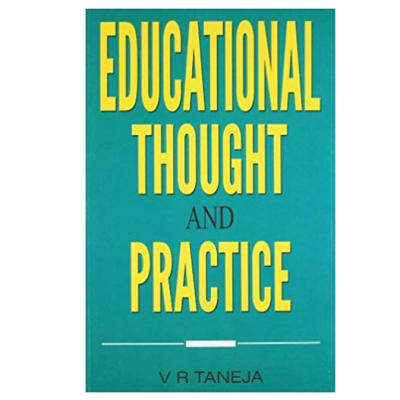 A full-fledged chapter, therefore, has been added in this edition on "Open Learning (nonformal/informal education)" , giving its genesis, concept, philosophy and dimensions with a view to enhancing the utility of book.